Your computer is the thing you are reading and typing on :) You should know a few things about it before we go much further. Starting development work requires at least a passing familiarity with what is happening inside your machine, what software is installed, and where to look next for help! Check to see that you have at least 1 Gb of disk space left. 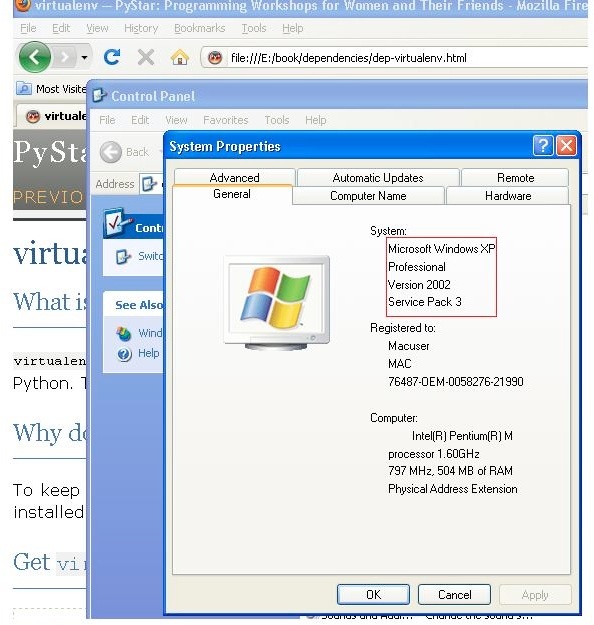 Know your OS and version number? Good! A command line interface (CLI) is way of interacting with a computer by typing commands. Many development tools don’t have graphic user interfaces–they only have command line interfaces. Windows comes with a command line interface called a command prompt. Unfortunately, it does not support all of the tools we want to use. This will install MSYS/Mingw/GitBash (it has many names!). If you are not an administrator on your machine, you might have to choose an alternate path for install rather than C:\Git, such as C:\Documents and Settings\yourname\Git\. You will also want to make the MSYS/MINGW bash window behave in a saner way. After opening it, ‘right-click’ on the title bar, and select ‘properties’. Under ‘Edit Options’, enable ‘Quick Edit Mode’. 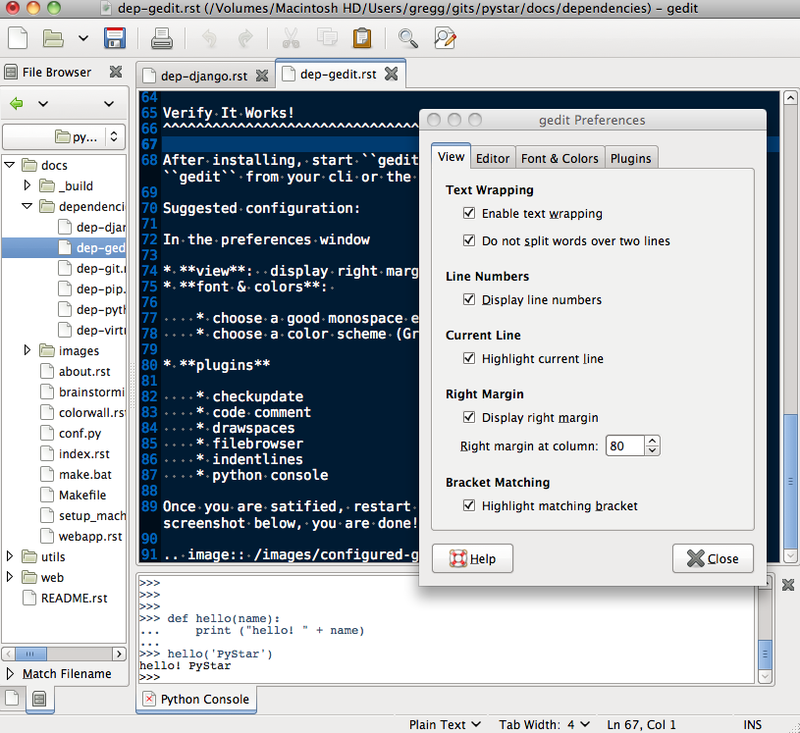 gedit is a cross-platform, syntax-highlighting text editor. To write your code in! Word is a fine program, but it is not a text editor. After installing, start gedit up by clicking on its icon, typing gedit from your cli or the like. Once you are satified, restart gedit. If it looks similar to the screenshot below, you are done! Python is a general purpose, dynamically-typed, strongly-typed, interpreted computer programming language. Well, this is a Python progammming workshop! Go to http://python.org/download/ and download the latest version of Python 2.7 (2.7.1 at the time of writing). Unless you know otherwise, get the “Windows Installer” version, and not the “Windows X86-64 Installer” version. Start up a command prompt by clicking on the Start menu, clicking the Run... option, typing cmd, and hitting enter. If you are using Windows Vista, you should click on the Start menu, type cmd into the Search field directly above the Start menu button, and click on cmd in the search results above the Search field. To exit the Python prompt, type exit() and press Enter. This will take you back to the Windows command prompt. 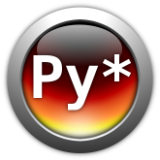 From here on, if you are in the msys/mgit/mingw cli, you can type python to get a python prompt, should you need one! Type exit() to return to your terminal/shell. Don’t worry if your version is different than the one shown here. Any 2.x series python 2.5 or higher (i.e., 2.5, 2.6, 2.7) should be fine!